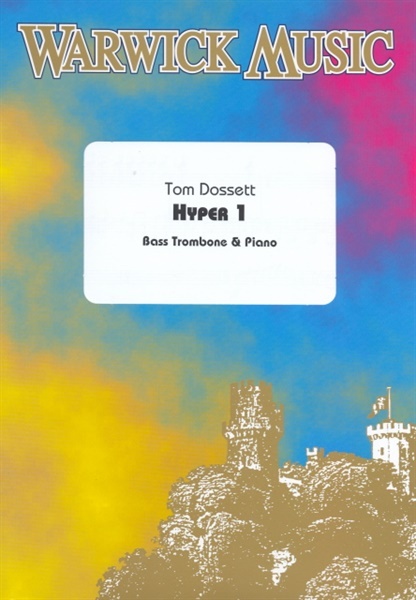 Hyper 1 was written for British bass trombonist, Jonathan Warburton. The short, single movement work is playable by a medium-to-advanced bass trombonist. It features driving 5/4 and 6/4 meters and utilizes the lower registers of the bass trombone well. The piano part is thin in texture, lightly clustered, motoristic, and often employs ostinato patterns. If you like the Gloria by John Rutter, you will enjoy playing this lively bass trombone solo as an opener for your recital!